Bill Wenzel with the Spearfish Fire Department looks up at the 416 Fire burning June 10 near the entrance of Electra Lake subdivision, north of Durango. Saturday marks the six-month anniversary of the start of the 54,000-acre blaze. The U.S. Forest Service says it has concluded its portion of the investigation, but no cause has been announced. Six months later, and no official cause of the 416 Fire has been announced. 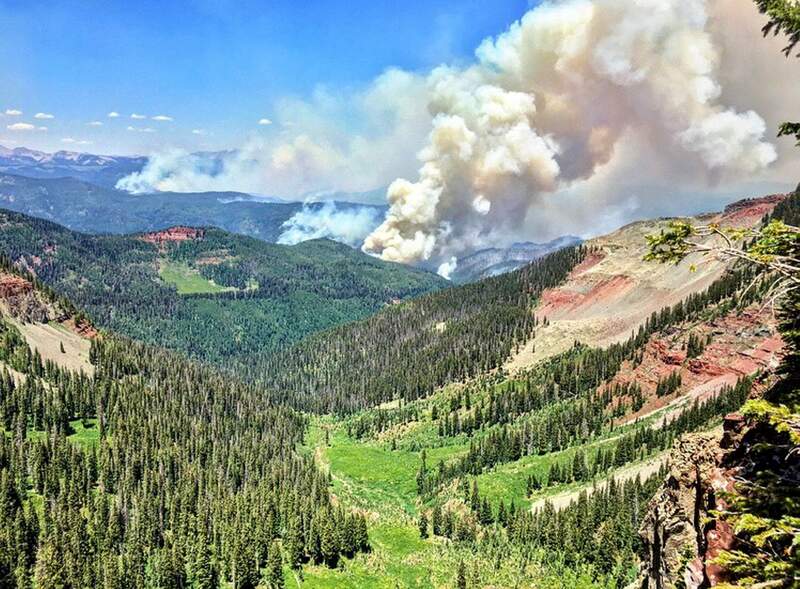 Saturday will officially mark six months since June 1, the start of the 416 Fire, which burned 54,000 acres north of Durango, forced thousands of evacuations and caused dramatic economic losses for Southwest Colorado. At 8 a.m. Friday, the U.S. Forest Service declared the 416 Fire was officially out. But the questions burning on everyone’s mind remain unanswered: What started the blaze that went on to become one of Colorado’s largest wildfires, and why has it taken so long for an official cause to be announced to the public? The U.S. Forest Service, which treats every fire investigation like a crime scene, has been tight-lipped about the investigation, and there’s no clear timeframe for when the cause will be released. The Forest Service previously said a cause would be named in late fall or early winter. 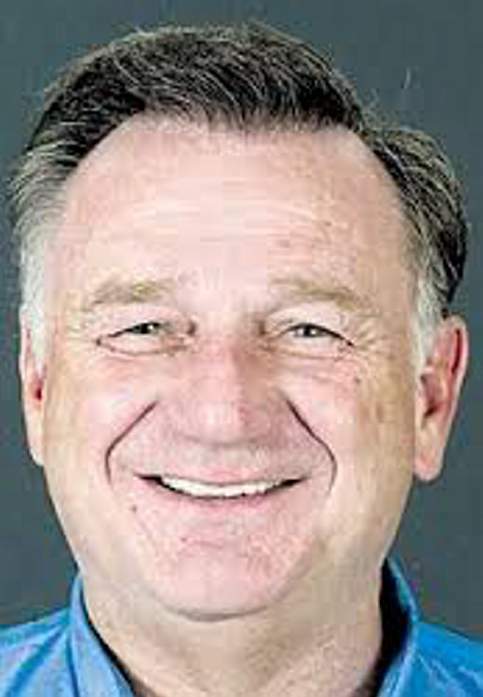 But inquires made this week by The Durango Herald, seeking an update on the timeline for announcing a cause, were met with little new information. Jonina Vanderbilt, a spokeswoman based in Durango for the Forest Service, said the investigation into the fire has been completed. But, she said an outside investigation is being conducted to vet the results. And, Vanderbilt said the entire situation is wrapped up with the legal department of the U.S. Department of Justice. Jeffrey Dorschner, spokesman for the U.S. Attorney’s Office, did not return multiple requests seeking comment this week. 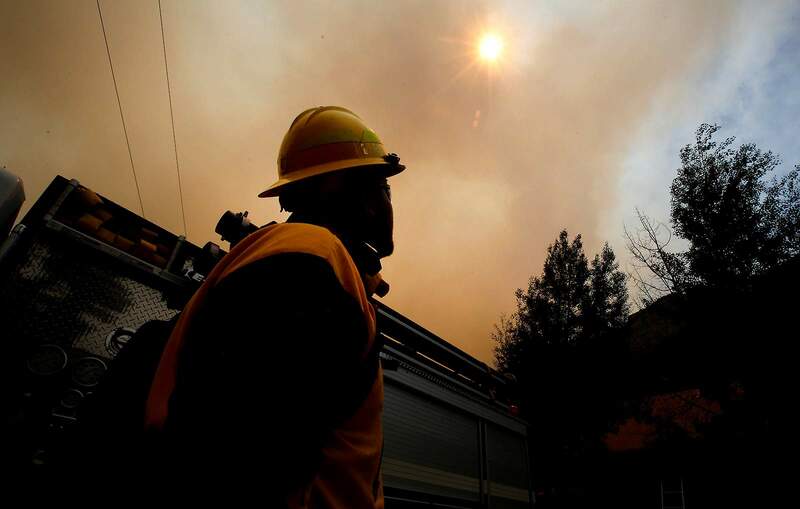 As of July 31, the cost of fighting the 416 Fire neared $40 million. Vanderbilt said it’s likely there will be additional emergency rehabilitation costs, as well. The sheer cost of the fire could be another slowing factor. “In a case like this, where it’s such an expensive fire, they’re being really careful (with the investigation),” Vanderbilt said. According to a federal wildfire information database, the location of the start of the 416 Fire was just west of train tracks for the Durango & Silverton Narrow Gauge Railroad, about 10 miles north of Durango. A previous story in the Herald talked to several residents in the Meadowridge subdivision who said they saw wisps of smoke up the hillside around 9:45 a.m. June 1, moments after a train passed by. The U.S. Forest Service this week said it could not provide a detailed update about when the cause of the 416 Fire will be announced. The account has caused intense suspicion that the coal-fired engine, known for sending off cinders that can start fires, is the culprit in the 416 Fire. In September, a number of residents and businesses filed a lawsuit against the railroad for losses as a result of the fire. 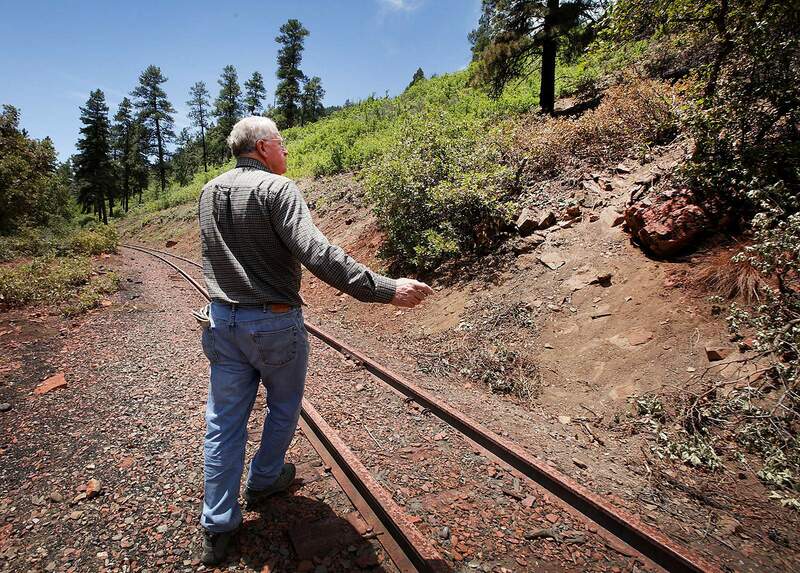 In previous interviews, the railroad’s owner, Al Harper, said the railroad will take responsibility if it is found to be the cause of the fire. On Friday, Harper said he was unable to comment further because of the lawsuit. Lawrence Lujan, a spokesman for the Forest Service in Denver, said this week he had no information to release on the 416 Fire investigation, but he understands residents’ frustrations. “I get that it’s a big question on people’s minds down there,” he said. “I’ve been in a community where a fire burned through and people wanted to know why ... so I get the importance of having this information. “But it’s an ongoing investigation, so I can’t comment,” he said. Lujan was unable to provide stats for how long a typical fire investigation takes as of 5 p.m. Friday, though he said it depends on the complexity of the case. He also was unable to provide how many active fire investigations the Forest Service is currently involved in. He did say, however, the number of fires that broke out this summer has not slowed down the timing of investigations. “This is not the first time we’ve experienced a multitude of fires in one year,” he said. The cause of 416 Fire, which burned about 54,000 acres north of Durango, still has not been announced, six months after start of the fire. Lujan said 2012 was a busier fire season, though he did not provide numbers to compare. Neither Vanderbilt nor Lujan could say how the information will be announced once a cause is formalized and ready for release to the public. Also, neither spokesperson could comment about the investigation and cause of the Burro Fire, which burned an estimated 4,500 acres in Bear Creek Canyon, northeast of Dolores, also over the summer. Fire investigators did say the Burro Fire was human-caused, but they have not released any additional details.